﻿ Does Java Developers Are Ready to Jump into Embedded System? How to Java Developers Should Apply New Embedded System? 1. Why to search other things when you can rely on almost 4000 standard libraries? •	Java SE 7 has around 4000 class libraries that cover everything from networking to collections. This means developers and programmers do not need to spend their entire time in rewriting the standard functionality for these embedded apps. •	Since Java is widely accepted programming language, developers have formed libraries that address almost anything people can imagine- sensors, a ZigBee API are such examples. Most of these libraries are open sourced and developers can easily integrate them into new embedded applications. •	Java offers robust application code to the developers. Languages like C++ and C apply explicit pointers to reference memory. Developers cannot manipulate all implicit pointers by application code. This prevents potential problems like memory access violations and buffer overruns, via wrong pointer calculations. •	In embedded mechanism, such errors are difficult to track down as there is no device like a screen where developers can view the error messages. •	Embedded systems are different that desktop machines and servers in terms of their architecture, OS capabilities, and resources. •	When you update your embedded systems, their processors and OS will automatically change from the earlier release of the product. Migration of C applications to a new platform can consume your time and money. Apart from this, there are chances of making errors in this process. •	Java offers flexibility to the developers as they can write the code once and run them everywhere. A simple recompilation will work when the app shifts to a newer java version. •	JVM offers a list of advantages to embedded developers, which are not available in natively compiled code. JVM automatically handles the memory management. •	There is no need of keeping track of object references and de-allocate memory because everything is handled by the garbage collector. With such things, the risk of memory leaks gets reduced. •	JVM also manages concurrency support for applications. Java already offers the ability to develop and synchronize distinct execution threads since beginning. •	It is a myth that if you use a virtual machine instead of a native instruction, performance will be compromised. Only precise knowledge and skill set can help you in achieving better performance than the natively compiled code performance. •	Embedded systems are usually intended to solve certain issue, whether it is related to providing in-car entertainment or monitoring the pH level of a corporate process. •	Java was developed in the early 1990s. During the first launch of Java in 1995 as a general-purpose computing platform, the average computer had 8MB RAM and a 200MHz processor. •	Even today, the runtime of full Java SE takes only 64MB of RAM to run on WindowsXP. •	Java is being intended in such a way that even if the resources are limited, developers still can get their job done using Java. •	Code development requires right tools. Developers can easily get their job done with right set of tools. •	Netbeans and Eclipse java tools make coding process simpler for developers and they commit fewer errors. •	Features like integrated documentation, automatic code completion, and syntax checking while typing help to complete the job faster and make the code more robust. •	Since java uses a virtual machine, the location of code compilation doesn’t matter; and thus, there is no requirement of setting up complex cross-compilation tool chains. •	Most IDEs support the idea of remote debugging via a network connection to make life of developers even easier. 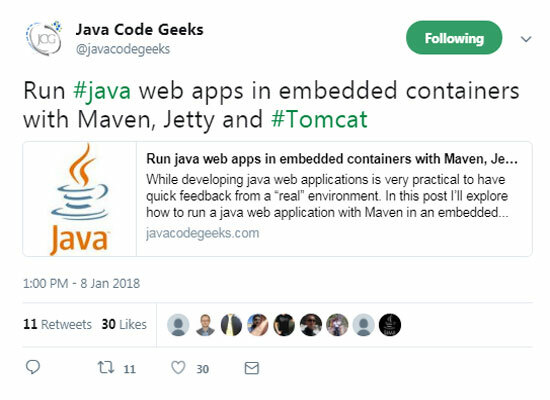 If you ask other 9 billion developers what is the most preferred platform for developing corporate applications, they will take the name of java. Using Java in embedded devices, on the desktop for presenting and regulating the entire system, and in the data center for processing of big data makes architecting a comprehensive solution. Java developers India can avail such benefits for developing code for embedded systems. If you want more info, contact developers and ask how java benefits them.